is designed for everyone regardless of age and acquired knowledge and skills in order to make your summer holidays a special time to gain and deepen your spiritual and practical knowledge which originates from ancient wisdom. 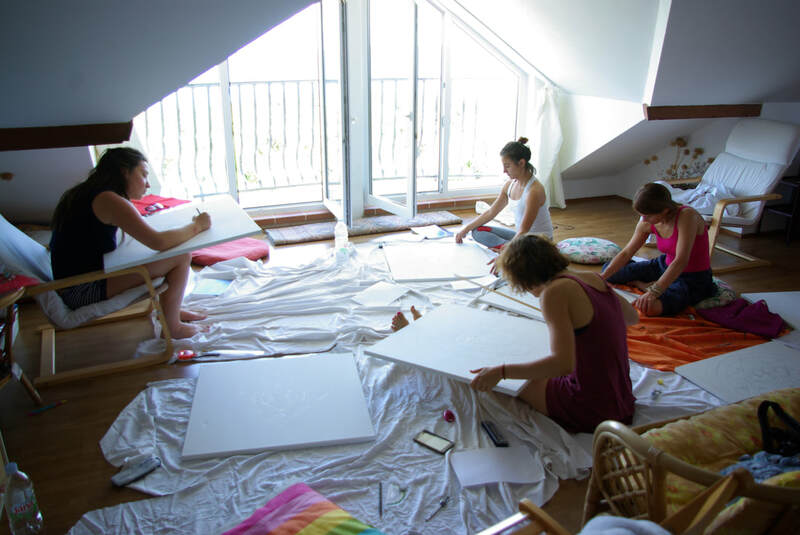 Daily Art workshop, drawing and painting sacred geometry of mandalas. Lectures about symbols, colors, shapes etc. 70x70cm, technique: acrylic painting on canvas. FOOD: Daily fresh vegetarian/vegan meels, prepared by experienced ayurvedic cook. Buffet style servings, two meals per day. 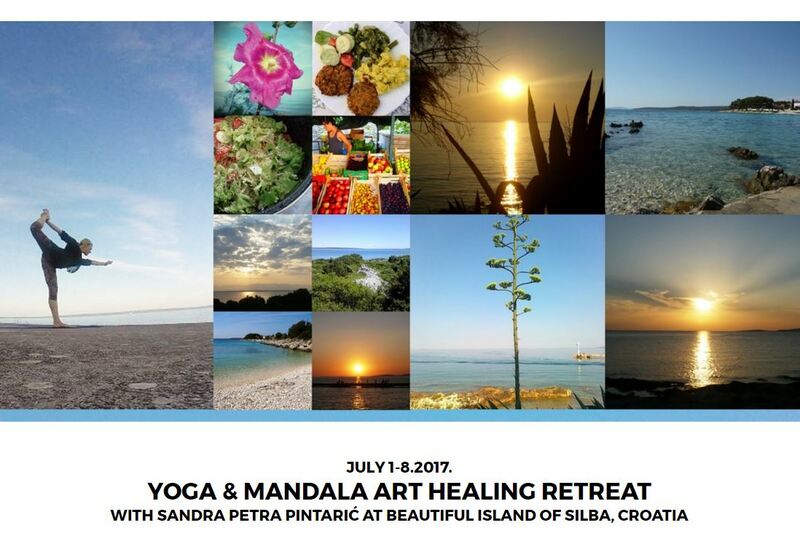 The retreats begin on Saturday after your arrival on Silba by catamaran from Zadar at 2 pm, and finish on Saturday after departure from Silba at 5:40 am by boat from Silba to Zadar. Returned ticket is around 50 KN. Villa Ana is situated 10 minutes of an easy walk from the port and transportation of luggage will be organized by tractor, which is the only existing motor transportation on Silba. It is not planned to take pets on holidays. Island of Silba if full with rich vegetation and beautiful little sandy or gravelled bays which are very important for a pleasant vacation in the untouched nature but also for development of nautical tourism. It is also important to say that Silba has been nominated for Nature park status. There are no roads for cars or motorcycles on Silba, so peace and quiet help you to relax and enjoy every second of your vacation. That is one of the reasons why Silba attracts tourists. The other reason is Adriatic sea because of its incredible clearness and warmness during the summer. So if you decide to spend your vacation at this beautiful island, we guarantee that you will have great time and that you will come back again next year. More about Island of Silba.. The meaning of the word mandala (Sanskrit) is "circle" or "whole world". The circle's shape represents rounding, completeness, fulleness, and circulating. The mandala with its precise geometry, elements, shapes and colours depicts a certain energy matrix. When we meditate on mandala our consciousness dives into the collective consciousness where the symbols are activated by certain impulses of the universe and of our mind. ​Mandala is found in many of the old peoples and is used in various spiritual practices, meditations, psychology and the harmonization of the energies of various spaces. Mandala can be different, have various shapes (circles, tricycles, squares, etc.) and enter various elements such as cosmic principles, side of the world, deity, Avatars, planets, chakras, elements of nature or any other inspiration. 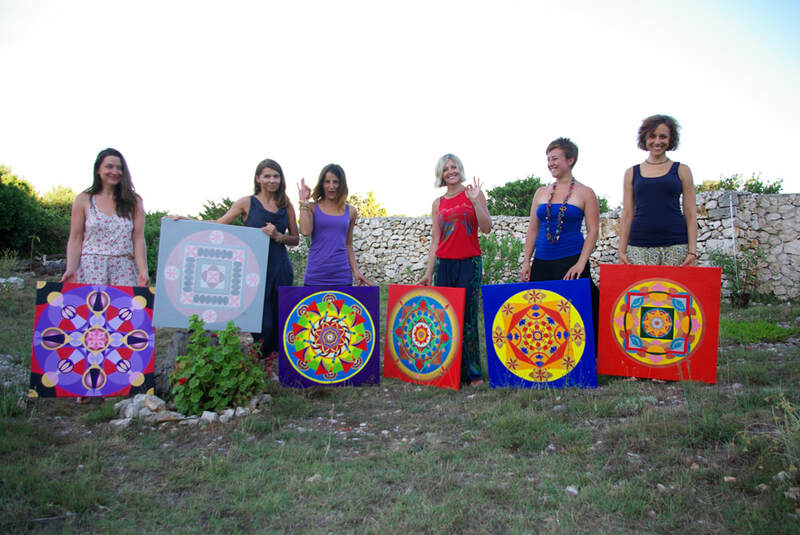 Diverse dynamics of Mandala, its forms and forms stimulate various internal potentials. Mandala is also made as a substitute for yantra, with a less default geometric form. Mandala Art can be a decoration and correction of a particular part of space, in specific colors and forms of the given theme. Each color and element has its place in space. For example, the south is conveniently placed a picture in a red color that can be combined with black or earthen paint and so for each part of the home. There will help Vastu tips. ​Yantra and Mandala are one of the most powerful symbols that bind us to collective states of consciousness and harmony. In the home their positive energies are spread into space, and meditating on them spreads positive awareness. When we meditate on mandala our consciousness dives into the collective consciousness, where the symbols trigger certain impulses of the universe.